The media coverage of natural disasters (hurricanes, fires, floods, ice storms, etc.) indicates the prevalence of natural disasters in most, if not all, ecosystems. 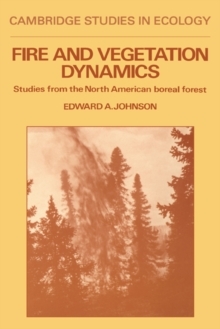 In order for scientists to study, understand, and ultimately predict how these disturbances affect ecosystems, it is necessary for them to know more about the physical processes involved in these disturbances and to learn how to couple these processes to the ecological systems. Essential for all ecologists, forest researchers, and conservation biologists, this book includes chapters on the disturbance processes, how the disturbance causes necrosis or death to individuals, and their effects on population or community processes. 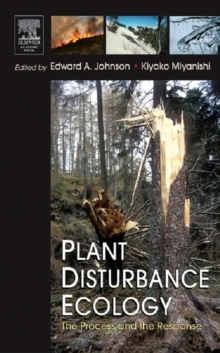 In Plant Disturbance Ecology, physical scientists who study disturbances provide an introduction to the physical disturbance processes, while ecologists relate this information to the way the vegetation responds to the disturbances. This reference is also key for all researchers hydrology, geomorphology, and environmental management.